Container Homes - A Buyer's Guide. Learn about the benefits of shipping container homes, and how building a house from discarded shipping containers can save you money on your next home. Container homes are strong, fire-resistant, eco-friendly, and offer flexibility in home design. And they're affordable. A comfortable container home can be built for under $20,000! While some people think container homes are limited to the "tiny house" category - and a home made from a single container fits this description - they can actually be as large as any other house if you combine enough containers. Shipping container home floor plans offer almost limitless flexibility, and you can build the house of your dreams for a fraction of the cost of a conventional home. 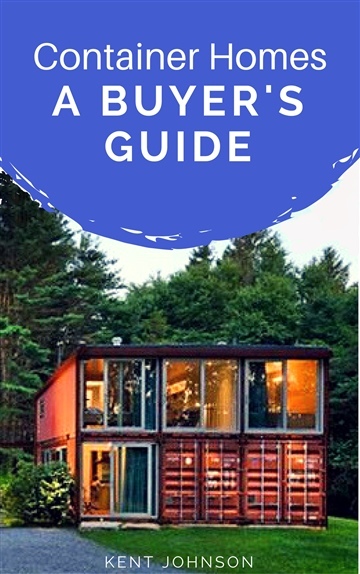 So whether you're interested in buying an existing container home or building one from scratch, this guide will help point you in the right direction. Kent Johnson has published several non-fiction books, including "Career Crossings," the definitive guide for career changers, and "Top Job Search Strategies for 2016," a book that helps job seekers find their dream job. He's also written hundreds of articles and blog posts on a variety of topics, has built and maintained over a dozen websites, and has certifications in both inbound and content marketing.